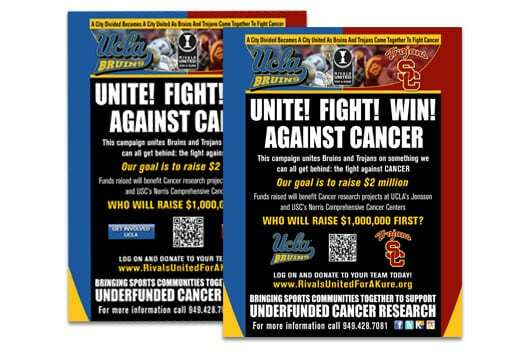 Rivals United for a Kure™ is a non-profit initiative formed to raise money for underfunded cancer research. 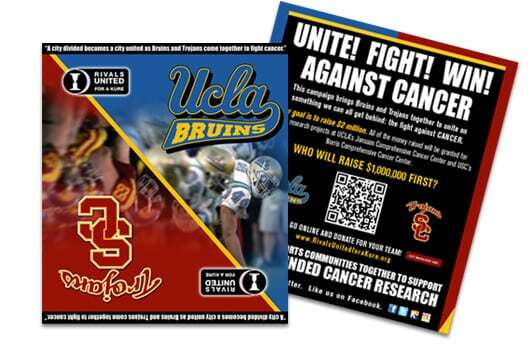 The organization brings together cross-town rivals USC and UCLA, uniting their competitive spirits in the fight against cancer. 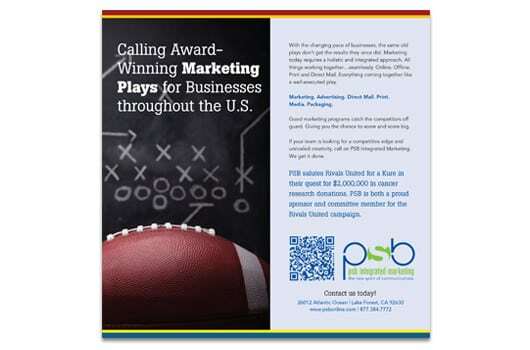 Proceeds of the group benefit USC’s Norris Cancer Center and UCLA’s Jonsson Cancer Center in their research efforts toward finding a cure. 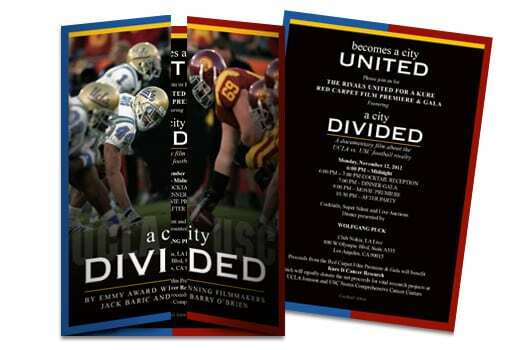 Working closely with the Rivals United committee of local leaders and alumni, we donated time, materials, and expertise to support the cause. 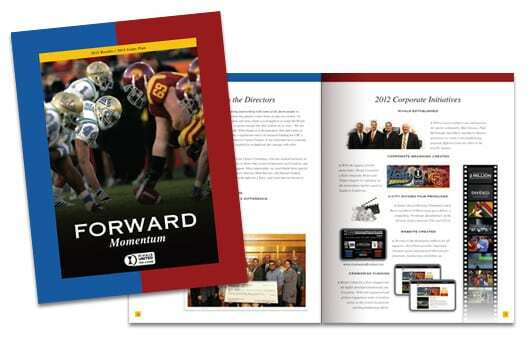 The organization has raised over $1,000,000 since its inception splitting evenly with each school’s cancer center.